New year, new resolutions and a revamped DCBAC website! We had an excellent General BAC meeting last Wednesday with updates from DDOT, Office of Planning, Arlington BAC and our committees. In the spirit of resolution for more frequent communication, I thought I'd post an update on our latest meeting for folks who don't want to read the 5 pages of meeting minutes. Snow removal - Bike lanes were done as a second round pass by the main line snow removal crew while the protected bike lanes were cleared by the bike planner staff of DDOT with a specialized plow. Detailed post to come. DDOT does not currently have a list of specific bike lanes they plan to build in 2015 but it should be coming soon. The Eastside Bikeway (east side of downtown) is not on contract currently but is in the plans for this year. The final 30% plan of the Fort Totten section of the MBT should be done by the end of 2015 while the Rhode Island Pedestrian Bridge has had its "soft" opening. The final bridge unveiling should be in the near future. 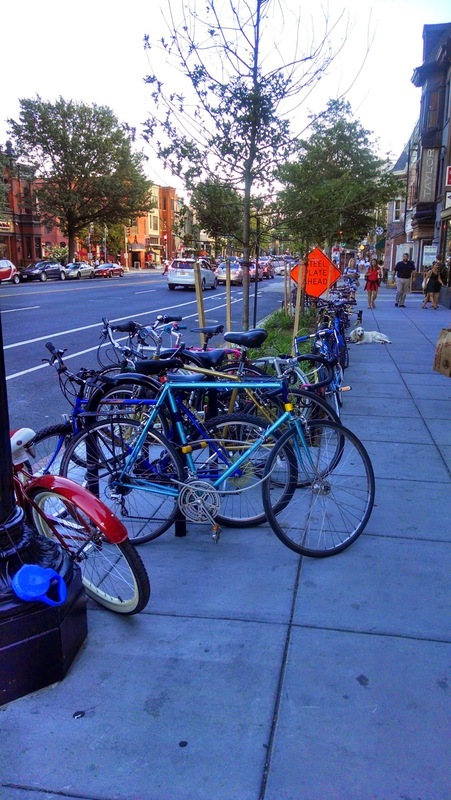 The Office of Planning is currently working on the Southwest Neighborhood Plan, and ramping up for a Adams Morgan and Van Ness Vision Frameworks. Upcoming BAC facilities rides will be focusing on those neighborhoods to comment in the process. The Bicycle and Pedestrian Advisory Councils have started conversations about shared issues, sparked by former Councilmember Jim Graham's failed sidewalk riding bill in 2014. There was some great conversations at a separate brainstorming meeting last week. Keep an eye out for another joint PAC/BAC meeting in February, as well as committee meetings. The Facilities committee will be meeting inside, likely at Brookland Pint again.